Updated Tuesday April 16, 2019 by OMBHL. The Oakville Minor Ball Hockey League (OMBHL) is a member of the Ontario Ball Hockey Federation (OBHF - www.ontarioballhockeyfederation.ca). The OBHF is the Provincial Sport Organization (PSO) formally recognized by the Ministry of Tourism, Culture and Sport as the governing body of the sport of ball hockey in Ontario (www.mtc.gov.on.ca/en/sport/sport/pso.shtml). The OBHF is a member of the Canadian Ball Hockey Association (CBHA - www.cbha.com). 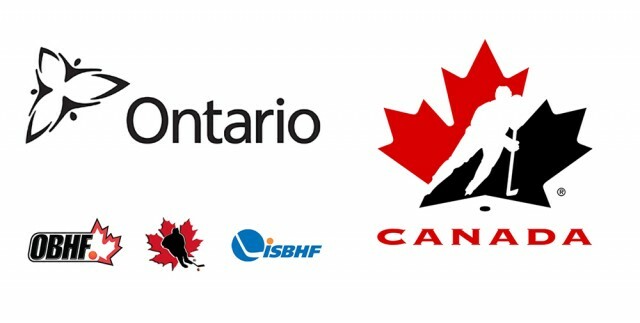 The CBHA is an Associate Member and Partner of Hockey Canada (www.hockeycanada.ca/en-ca/Corporate/Contact/Associate-Members). Hockey Canada is the national governing body for grassroots hockey in the country. Hockey Canada's mission statement is "Lead, Develop, and Promote Positive Hockey Experiences." The CBHA is a founding member of The International Street and Ball Hockey Federation (ISBHF - www.isbhf.com). The International Ice Hockey Federation (IIHF) has officially recognized the ISBHF as the governing body of street and ball hockey in the world.